Tower Corner will maximize the free space in your sauna room as it is placed in corner. Design of the heater allows more flexibility with sauna room designing especially when available space is limited. Due to its round and thin steel rods most of the water is exposed to stones – producing a high amount smooth steam to your sauna room. It can be controlled either with built-in or separate control units. Tower-NS models which require separate control unit can be integrated into the lower bench with the help of an integration collar. 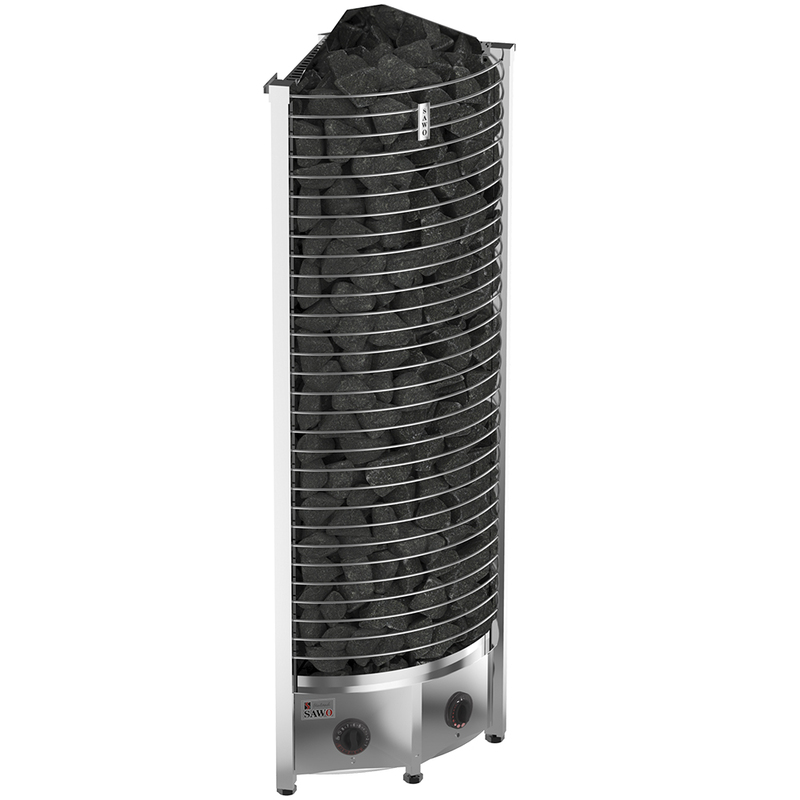 Size of the heater and max stone amount varies from the power output. Thermostat: Adjust the temperature of the sauna by simply turning the operating knob. Thermostat support automatically the chosen temperature. Timer: The timer has 1-8 (white) hours presetting time and 1-4 (pink) hours operating time. Have any question? Contact us! Here are the best prices!